Feb 10, 2015By Idle Games, Inc. Posted in: Games, iOS Apps, iTunesTagged in: Card, Casino, Entertainment, games, Idle Games, Inc. Poker like you’ve never seen it before! 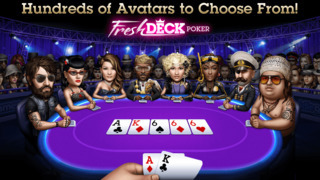 Fresh Deck Poker is the best free Texas Hold’em poker game with awesome sit-n-go tournaments. Our ultra realistic experience will make you feel like you are sitting at a table in Vegas. 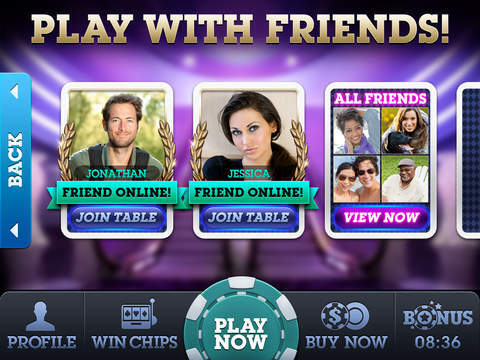 We’re the ONLY cross platform poker game. Play on your iPhone and continue your SAME GAME on your iPad, on Facebook from your computer or from any mobile device! We are the ONLY free mobile poker game to have its random number generator certified by the same authority as the real money casino’s! Play with 100% confidence that there’s no B.S. going on. * The only app with Royal Hold’em. Featuring a 20 Card deck, faster play & bigger pots! * Leaderboards: See how you stack up against other players. * Buddy Lists: Play with your friends – and track the fish! 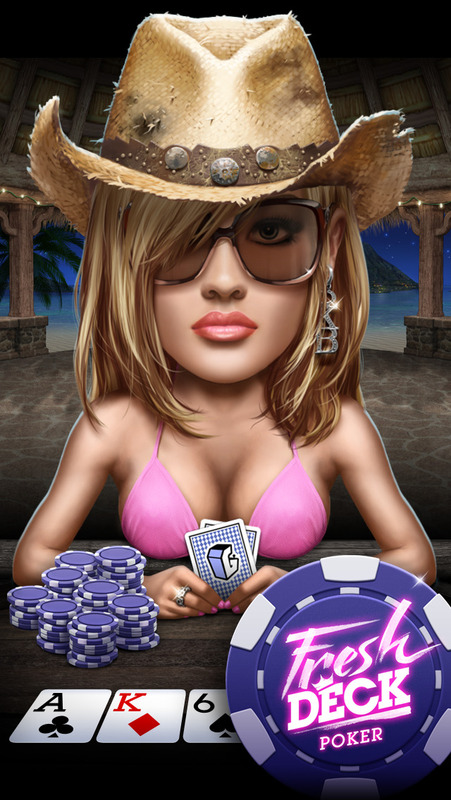 * Reel Poker Mini-Game gives FREE CHIPS daily! * Level Up to unlock: challenges, table environments, and special avatars. New *Fire and Ice* gameplay is here! Some like it hot, some like it cold…But here at Fresh Deck Poker, we like the best of both worlds! Now when you have a hot streak, see your avatar catch on fire! (Marshmallows optional). Meanwhile, competitors on a bit of a dry spell are in for a chilly surprise! Hop into a table at once and sample the hotness that is Fresh Deck Poker! Keep those smokin’ hot 5 star reviews coming! Thanks! © Copyright 2013, Idle Gaming, Inc. All rights reserved. Airport City - Start your airplanes empire! Manage your aircraft and fly!